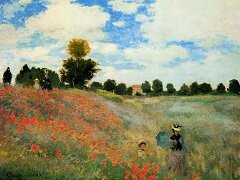 Between leaving London and moving to Argenteuil in 1871, Monet travelled to Holland for a brief spell on the recommendation of Daubigng, who had extolled the virtues of this land of light and water. 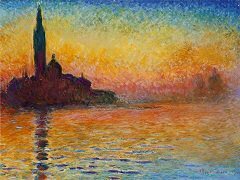 On returning to France, Monet again followed Doubigng's example and looked for a riverboat to convert into a floating studio. 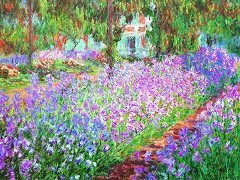 During Monet's search around Argenteuil for such a craft he met Gustove Caillebotte, a wealthy young boot buff. 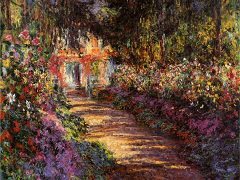 Together they found his floating studio, which then became the subject of a group of four paintings. 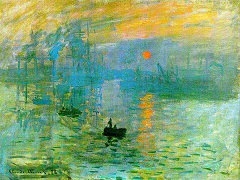 The Studio Boat tells the story about Monet and his relationship with water. 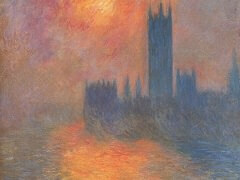 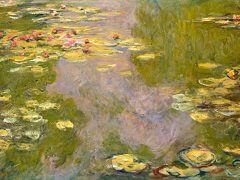 On the studio boat, floating on the Seine, is the closest to water Monet has ever been. 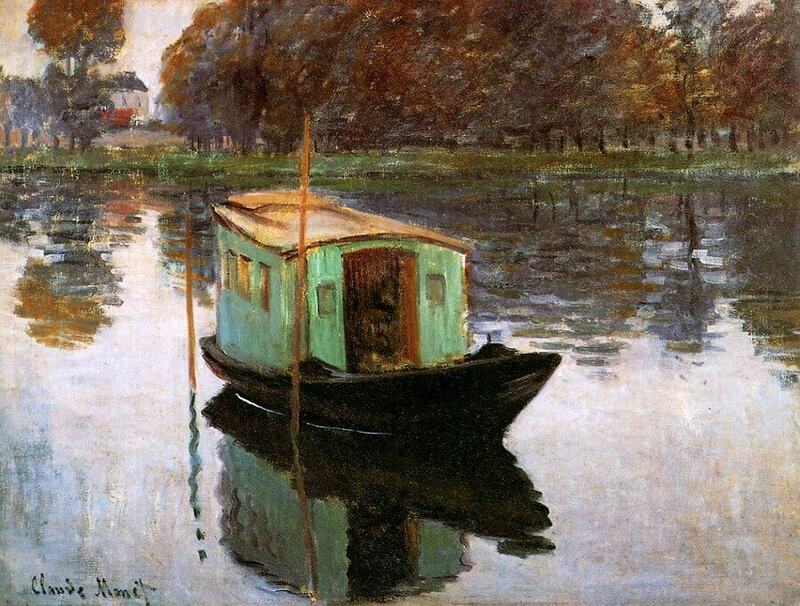 The studio boat provided Monet a break from modernity during his last years in Argenteuil, when the small town outside Paris started to become too industrialized for the artist's ideal. 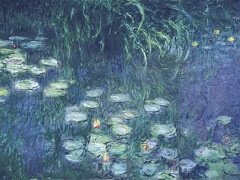 The retreat to water is like an escape to heaven for Monet; on water, he finds the freedom to express himself and explore his artistic direction as well as his notion of modern life.